A burning tinge of stained wine and golf leaf spots the endless rolling countryside of rural Pennsylvania while we all linger in the moments between a faded summer and any length of time we might be afforded before colder climes appear. As a kid growing up in Central Pennsylvania, there was no way I could have known how special, how intimate my homeland was, and would prove to be as a few decades flipped away their calendar years. It would take leaving, traveling the nation, some of the world, and returning for me to realize how absolutely gorgeous these rolling hills and the rural countryside that blanketed them actually were. For an East Coast state, PA has remained very much antiquated. I use the term endearingly. There are endless stretches of farmland, curving two lane roads through fields of cabbage, of corn, seas of amber waves of grain. Old barns, their wooden sides greyed with time and wear, silos rivaling maple and oak trees to create a low-rise skyline populated by ancient tractors and happy cows alike. As Autumn falls over these areas–crimson firing, yellowing Midas and the occasional deepest purple–it truly becomes a sight to marvel any majestic waterfall or mountain peak with heavenly aspirations. The East shines in Autumn, and having traveled most of it, I can say that there are a rare few places that can rival rural Pennsylvania when it comes to the change of a season filled with the fading warm nostalgia of another summer bygone and the evening bite of knowing that winter will soon be upon us. To soak up every moment is every resident and visitor’s duty. With that, a few images to back the claim. 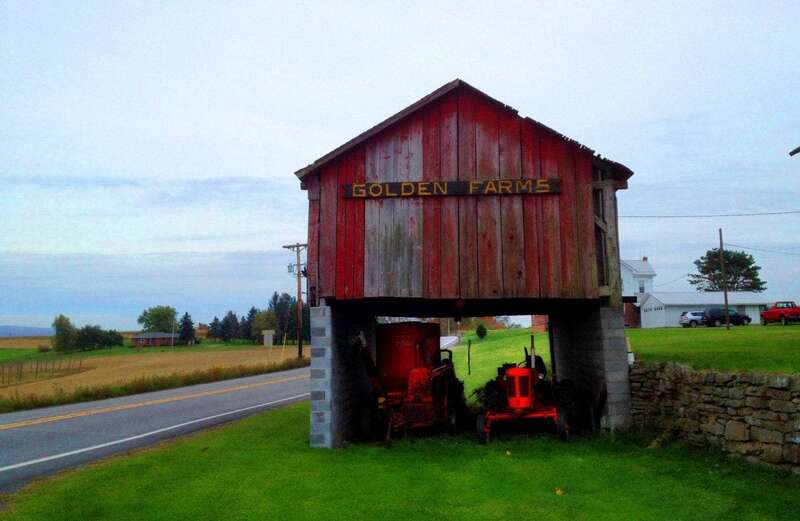 There is still room for an old barn to sway under a cloudy Autumn sky, an ancient tractor to give its owner a reason to keep the pistons’ firing in Pennsylvania. 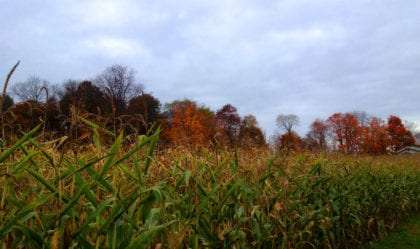 To get lost in a corn maze is to admit to nothing better to do than enjoy the smell of the pines as they hold onto their green, even as their fellows lose leaf and stalk with the changing season. 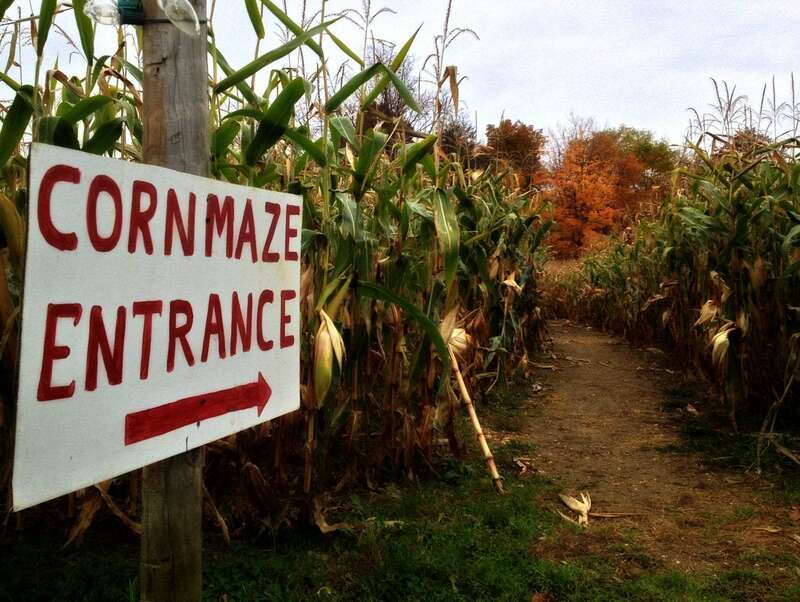 PA has dozens of these haunted hay ride, pumpkin patch, corn maze and apple cider affairs. Small farms were commonplace when I was an aspiring young dreamer some two and a half decades ago. 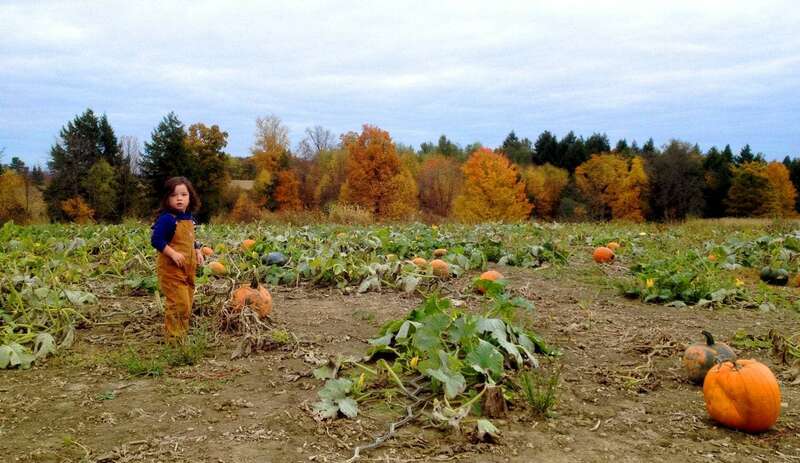 While much of the nation has turned to big agriculture, there’s still room for a young boy to toil in the fields picking just the right pumpkin. As the name implies, Pennsylvania is ripe with two lane roads that meander through forests galore. 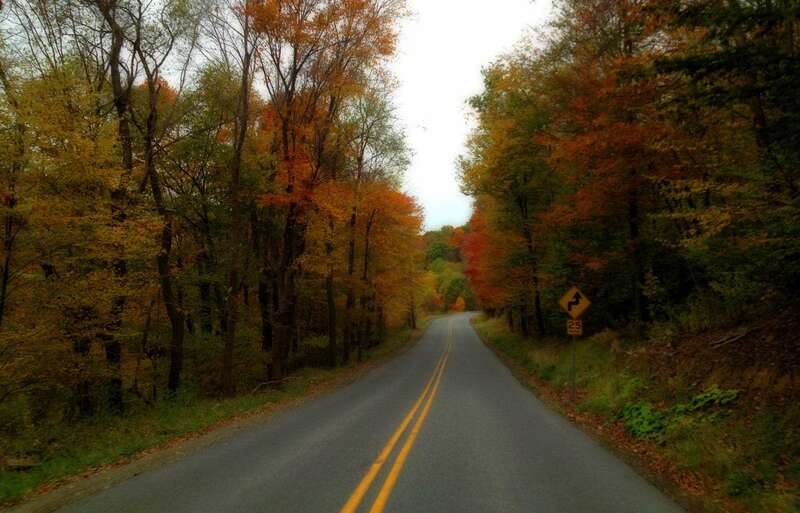 Whether you’re traveling an official scenic byway, or just getting lost in the backroads.